Why should you read books? Because it is what most great men do. Thomas Jefferson, Benjamin Franklin, Napoleon Bonaparte, Abraham Lincoln, Teddy Roosevelt, Winston Churchill, Dwight D. Eisenhower, Charles de Gaulle, and John F. Kennedy were all voracious readers. That is not bad company to be in. Books can also provide us with a shortcut to greatness.Reading the lives of great men teaches which actions lead to success and which lead to failure. Books also give us the big picture when it comes to understanding our world. Modern media does a great job of keeping us informed of the latest events that are happening throughout the world, but most of the reporting is very ephemeral. The only way to get the big picture is to immerse yourself in books. Finally, the vast majority of men do not read. By adopting a habit of reading everyday for 30 minutes to an hour, you will set yourself apart from the pack. These are the books that I have found personally very helpful. Plutarch’s Lives. There was a time when every educated man read Plutarch’s Lives. The founding fathers of the United States were steeped in Plutarch as was every classically educated British gentleman. It is a sad commentary on our civilization that it has been dropped from the reading list of public high schools and colleges. Plutarch was Greek historian and a priest of the Oracle at Delphi. He set out to write parallel lives of the great men of the Greek and Roman civilizations. Plutarch’s goal was primarily pedagogical. He wanted to convey to his readers how a person’s character can influence his destiny. The result is not a dry history book, but a colorful and practical manual on how to be a leader. One word of warning: Reading Plutarch’s Lives will change your life. If you have never felt the urge to achieve great things, this book will light a fire in your heart. Plutarch’s Lives comes in two volumes. Volume II is here. Think and Grow Rich by Napoleon Hill. Think and Grow Rich was the first self improvement book published and it is still the best. The entire sea of self improvement literature that has followed is merely restating what is found in Think and Grow Rich. Napoleon Hill got the idea for the book from Andrew Carnegie, the American industrialist who led the formation of the U.S. steel industry. He interviewed and studied the successful men of his day to try to find out what was the secret of their success. This book is the result of his research. There are parts of Think and Grow Rich that seem obvious, but there are other parts that will seem odd. Suspend your disbelief and work the exercises exactly as Hill prescribes. I can’t explain it, but it works. Song of Ice and Fire Series (Game of Thrones) by George R.R. Martin. The Song of Ice and Fire series is more than just entertainment. It is virtual textbook on strategy. Although the HBO television series is very good, it doesn’t contain the wealth of insight of the books. Even if you have read the books before, it pays to re-read them carefully and examine the actions of the characters. Are their ethics good or bad? Was their move wise or does it open them up to retaliation? By paying close attention to the decisions of the book’s characters, we can begin to evaluate our own behavior. Learn from the mistakes of the characters who failed and the actions of those that succeeded. The Song of Ice and Fire series is a goldmine of practical wisdom. The Way of the Superior Man by David Deida. Every man, single or married, needs to understand how male/female relations work. There are things that women expect from a man. Unfortunately, they are lousy at expressing what they want. In fact, they might tell you the exact opposite of what they want. Women are not being deceitful in this regard. They are just not able to conceptualize what they want because the culture tells them they want one thing, when they really want another. David Deida’s gift is that he has been able to concisely state what a real man needs to be, not just for women, but for himself. The 48 Laws of Power by Robert Greene. This book summarizes the teachings of history’s great works on the topic of accumulating power. But the author does not just restate these principles in a clear format, he also illustrates each principle at work through historical anecdotes. For a long time I thought that I just needed to be a good person and that I could ignore these laws of power. After all, some of the techniques in this book are immoral. However, in obedience to Jesus’ command, “be as wise as serpents and as innocent as doves,” even good men need to be aware of these laws. Why? Because other people use them. That is not to say that all of these laws are immoral. Most of these laws are things that any wise ruler should do. Whether you aspire to leadership or not, you should have a thorough understanding of these laws. When you are complete, be sure to read Greene’s excellent sequel on Mastery. The Art of Worldly Wisdom by Balthasar Gracian. The author was a Jesuit priest, and this book demonstrates that there is no opposition between being successful in the world and being a believer. The Art of Worldly Wisdom consists of a series of aphorisms from an acute observer who was part of the Spanish royal court—one of the most cosmopolitan and powerful courts in Europe of that time. This is a book that you should read as early as you can, and then continue to read it every year. With each reading, you will understand the principles better so that you can apply them to your own life. I once had the misfortune of violating one of Gracian’s principles and I paid dearly for it. The Way of Men by Jack Donovan. This book is a modern classic. Donovan notes that our modern civilization is feminized, but he doesn’t stop there. He asks the ultimate question about what manliness really is. Unlike a lot of the stuff written on the topic, Donovan doesn’t give cheap answers like drinking bourbon, smoking cigars, and smoking your own meat. Rather he digs into myth and history for the answer. 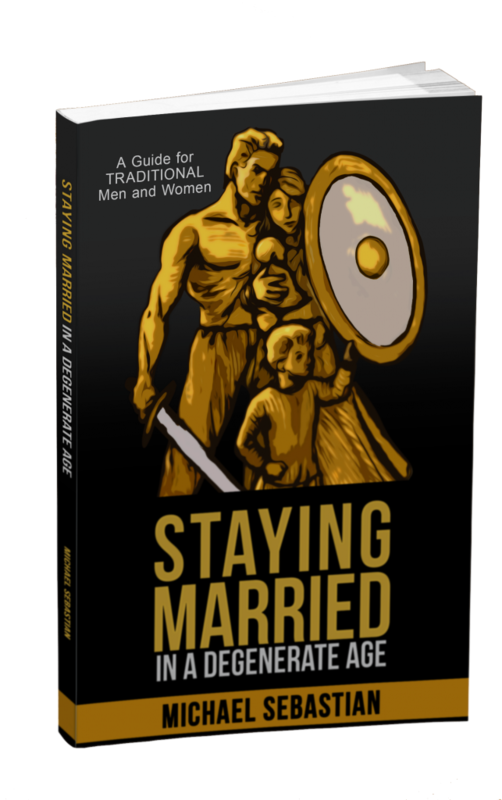 The book has many insights, but one of the primary ones that I took away is that we need to begin forming tribal bonds with other men again. Nearly every day we hear disturbing reports that our society is coming apart. While I believe in doing everything possible to shore up what is falling, I also believe in starting to prepare in case we fail. This book points out where to start. The Art of the Deal by Donald Trump. Love him or hate him, nobody can deny that Trump has been successful in an incredible number of different businesses. He’s been successful at real estate, television, books, beauty pageants, casinos, and golf courses. There are two reasons to read this book. The first is that Trump is a master negotiator and you’ll pick up many negotiating techniques. This will be helpful if you are negotiating multimillion dollar deals or just haggling for a new car. The second reason to read this book is to learn Trump’s swagger. Most of us are too nice. We are too willing to compromise rather than stand up for our own interests. Trump, like all successful men, fights for his interests. In this, he is a good person for us to emulate. Heretics and Orthodoxy by G.K. Chesterton. We live in an age where reason has been banished and replaced by snark. The consequence is that most people have stopped thinking. They mindlessly accept whatever rubbish they see on TV or read in magazines. Chesterton is the antidote to this fuzzy-mindedness. In these two works he takes on the precursors to the stupid ideas of today, and he utterly demolishes their arguments. The real benefit to these books is that they will clarify your thinking. After spending time with Chesterton, you will be able to spot holes in flawed arguments from a mile away. You may not be able to persuade the deluded masses (because they don’t think) but you will understand why they are wrong. Linchpin: Are You Indispensable by Seth Godin. I am not a big fan of business books. A lot of them start out by saying, “everything has changed,” but they then go on to repeat the same tired platitudes. Linchpin is different. It offers practical concepts that will make a difference in your business and your life. The concepts are simple, but once you read them, you won’t forget them. It has made a big difference in how I work. Although anyone can benefit from this book, I think it will be most appealing to men who already have a business or who are thinking about starting a business. Good start to turn back to tradition and to rediscover masculinity, thank you. While I have already read Orthodoxy and think Chesterton is an outstanding writer, I am planning to read the rest that you listed here. – Pensees by Blaise Pascal: the religious conversion of a genius. Great list. There is some heavy lifting here! The only books I have read from your list are Pascal and Dostoevsky so I have a bit of work to do. I am going to start with Houellebecq. is a very gutsy take on – our failed academic system, read this before you enter college or send your little one into the “school factory” . Also a fascinating chapter on why our communities are so divided. Written by a well known teacher.